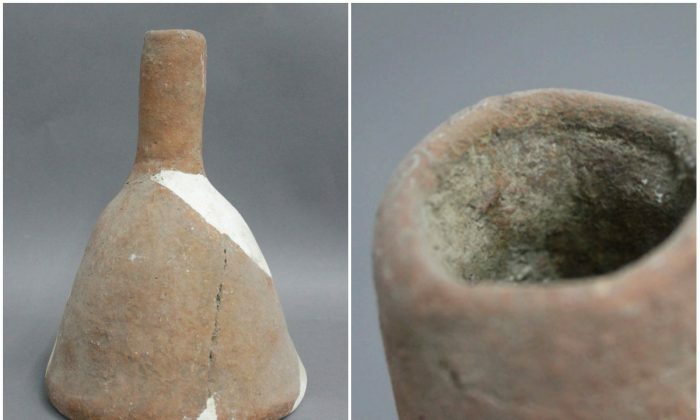 Ancient Chinese brewed beer 5,000 years ago using similar technology that we use today. The beer was made of broomcorn millet, barley, Job’s tears, and tubers fermented together and would have tasted “a bit sour and a bit sweet,” said Jiajing Wang, archaeologist and Ph.D student at Stanford University, according to NPR. Wang participated in the excavations at Mijiaya site in Xi’an, the ancient Chinese capital about 500 miles southwest of Beijing, where researchers discovered an underground brewery with sophisticated tools. The room was built between 3400 and 2900 B.C., according to estimates. They found pottery with barley grain remains that showed signs of malting and mashing, crucial steps of beer brewing. The residue inside the pots and funnels were tested with ion chromatography to discover the ancient recipe. “The results indicate that people in China established advanced beer-brewing technology by using specialized tools and creating favorable fermentation conditions around 5,000 y ago,” reads the abstract of the research paper on the discovery published in the Proceedings of the National Academy of Sciences. Scientist didn’t know Chinese had barley so early on, even though they knew that 2,000 years ago it was already a staple in China. “Our findings imply that early beer making may have motivated the initial translocation of barley from the Western Eurasia into the Central Plain of China before the crop became a part of agricultural subsistence in the region 3,000 y later,” the paper’s abstract sates. The earliest evidence of barley beer-making dates back more than 5,000 years ago to ancient Sumer, today’s Iraq. The basic ingredient, barley malt, is made by wetting and rinsing barley kernels at a specific temperature, and letting them sprout. The malt is then mixed with hot water. The starches inside the grains liquefy and are then drained out of the grains. Other ingredients, like hops, are then mixed in to add flavor. Finally, yeast is added to facilitate fermentation—the source of sparkling and alcoholic nature of beer. Beer owes much of its characteristics to barley malt, including color, sweetness, and foam.